With the summer season upon us, many of us will soon find ourselves lining up outside of our local ice cream shops. Faced with a myriad selection of classic favorites and the more daringly adventuresome flavors, it's always a tough choice! 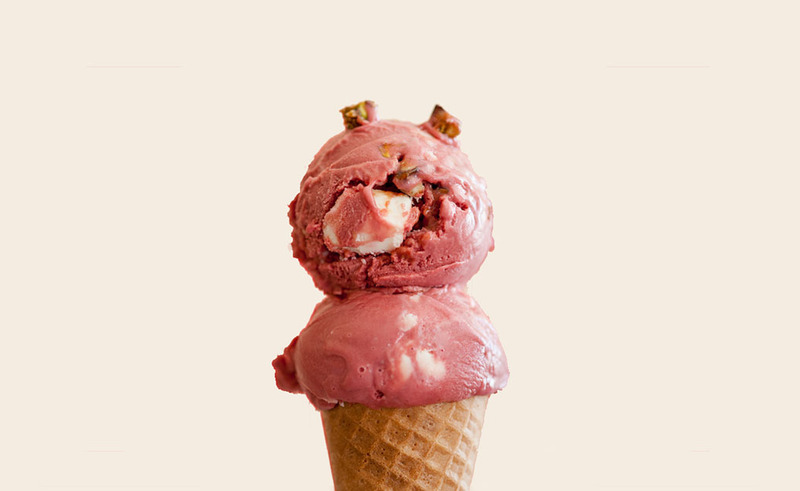 Brooklyn-based ice cream provocateur, Sam Mason, former pastry chef of the legendary wd-50 and Tailor fame, spoke to us about some of his more unusual flavor pairings at OddFellows Ice Cream Co. in New York. 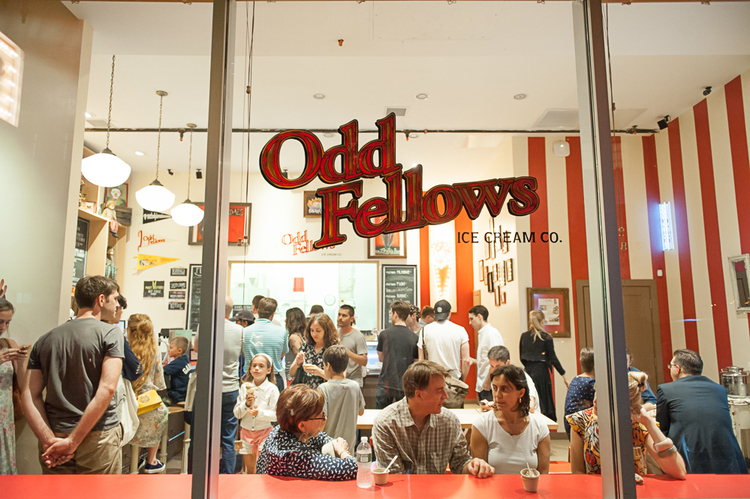 With menus at his Williamsburg and East Village scoop shops changing almost daily, OddFellows boasts a flavor archive of 89 different ice cream flavors and 23 sorbets. Inspired by his childhood memories and extensive travels, Sam keeps a 'book of flavors' that he translates into new Odd Fellows ice creams. An expert at juxtaposing sweet and savory ingredients, some of his most popular flavors are: Miso + Cherry, Manchego + Pineapple + Thyme, Maple + Bacon + Pecan and Beet + Pistachio + Honey + Goat Cheese. 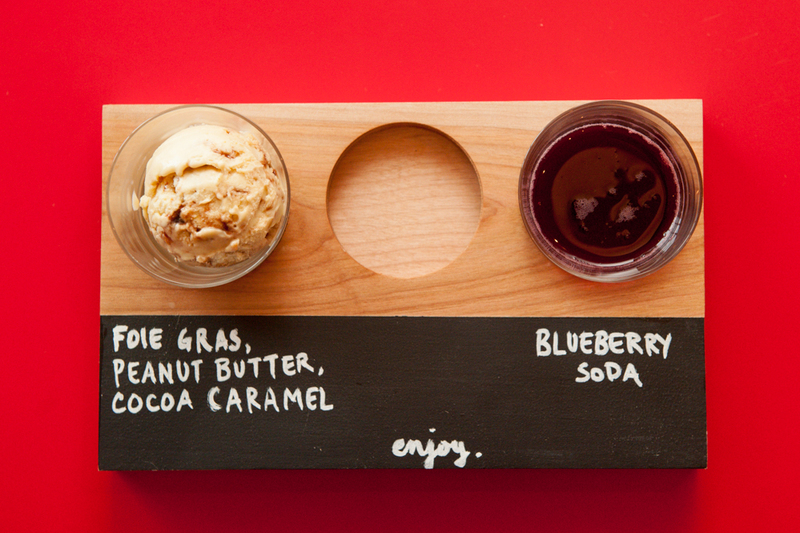 A self-proclaimed lover of foie gras, Sam discovered its natural affinity for peanut butter and developed this decadently sweet and savory OddFellows ice cream flight as an adult version of the all-American peanut butter and jelly sandwich concept. 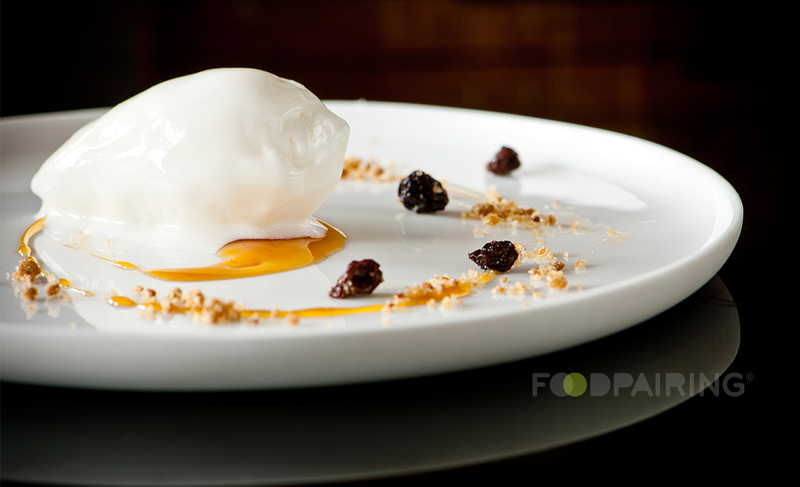 Only in this case, sparkling blueberry soda doubles as a chaser to contrast the rich creaminess of the Foie Gras + Peanut Butter + Cocoa + Caramel ice cream. OddFellows' Beet + Goat Cheese + Honey + Pistachio ice cream flavor is a fun take on—you guessed it—everyone's favorite beet salad! A staple on so many restaurant menus today, Sam has repurposed the key ingredients of this popular salad into a delectable dessert. 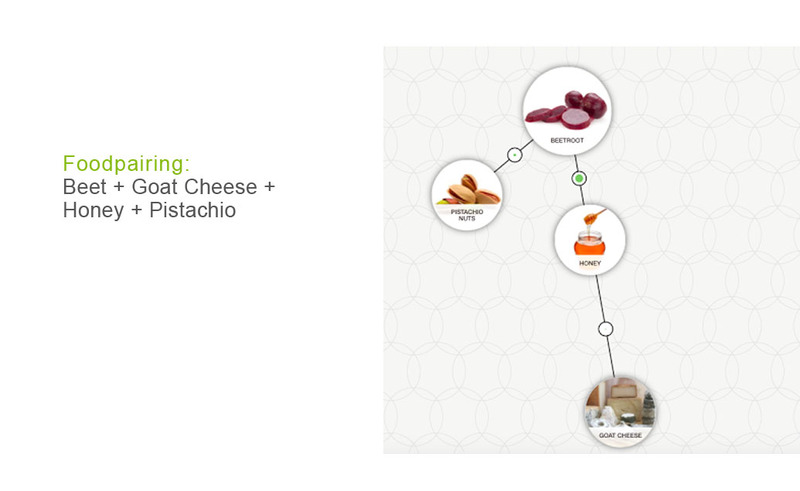 Both beets and pistachios share roasted, malty aromatic qualities. 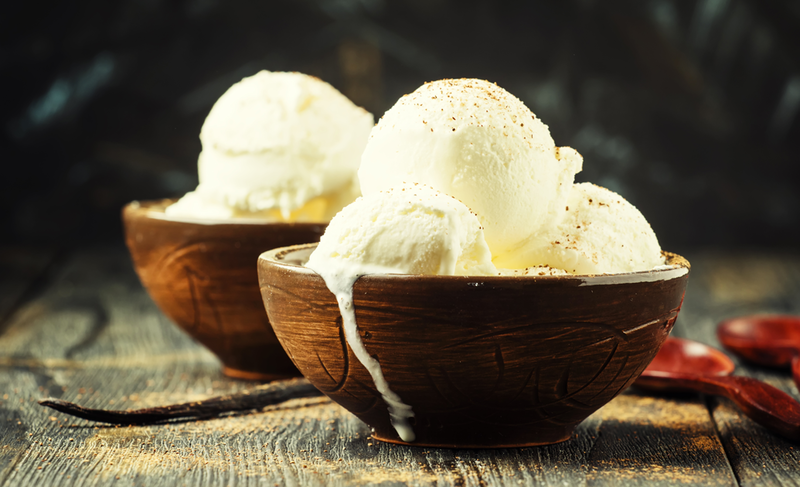 Couple this with the addition of a fresh, slightly tart, nutty goat cheese to your ice cream base—both of which are vanilla and/or coconut in character, and you're almost there. Round off this mixture with goat cheese and honey, which, as we know, complement one another perfectly, because they share the same honey and floral notes. Now you're golden! Find the recipe here. Looking for Inspiration? Watch Sam Mason Play Ice Cream Flavor Roulette. 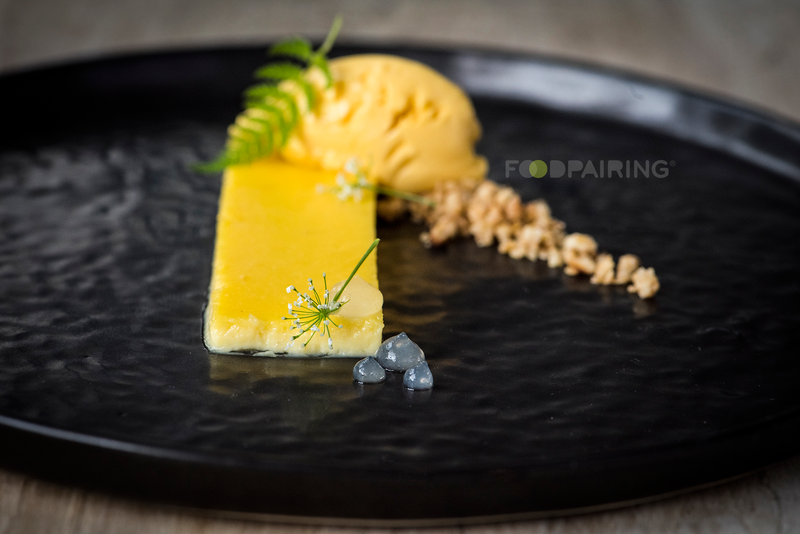 Camellia is Foodpairing's food and beverage editor. 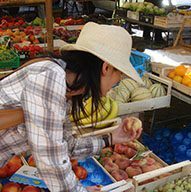 Always on the lookout for the latest in culinary talents, trends and innovation, she seeks out those whose creations inspire.